Have you ever noticed that when you take up a particular interest that you tend to see that interest wherever you go. 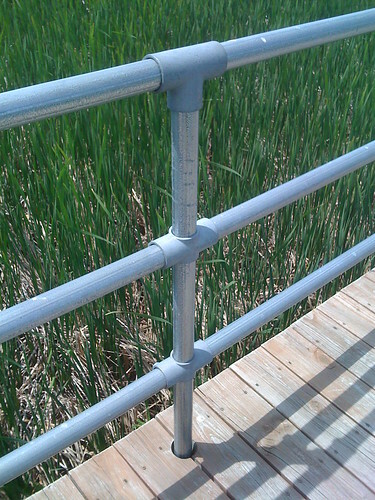 Well, the fact that I sell safety railing made with Kee Klamp pipe fittings makes me really alert to Kee Klamp structures wherever I go. Recently our family took a picnic to Braddock Bay State Park outside of Rochester, NY. 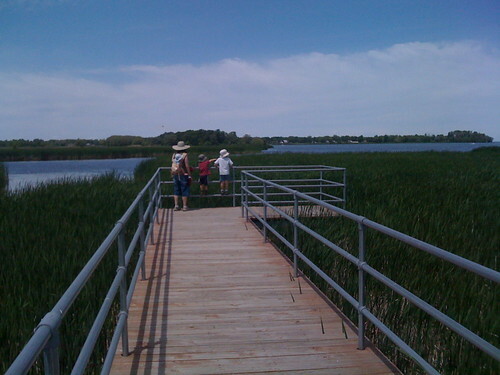 When we were there we checked out the hawk lookout stand and the long dock that goes out into the marsh. I was happy to see that the dock going out into the marsh was thoroughly railed with a Kee Klamp railing. 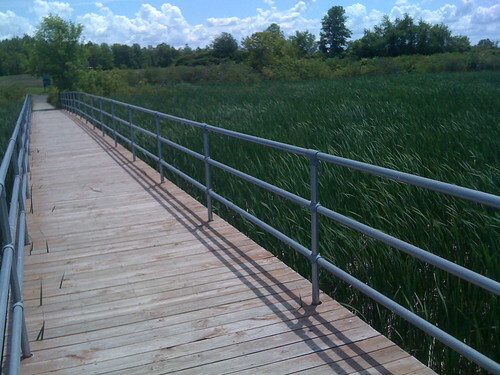 This project is a great example of how railings made with Kee Klamp fittings stand up to a moisture rich environment. This rail has clearly been in place for a number of years and still looks fantastic. 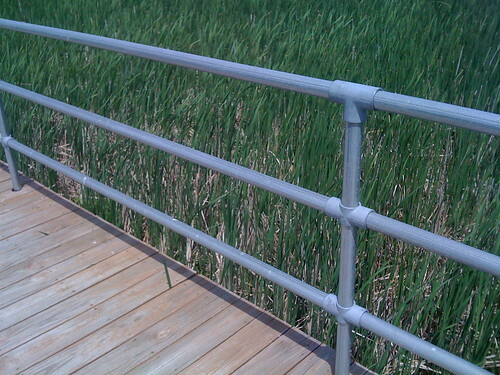 Find out more about our railing and handrails.